Air-cooled chimneys were traditionally used with open wood-burning fireplaces and because open fireplaces produce very little heat, air-cooled chimneys are not subject to stringent chimney fire testing. These types of chimneys have no insulation and stay cool by circulating cold air through the inner flue. This is meant to reduce draft but increases the likelihood of creosote formation (a sticky form of soot). 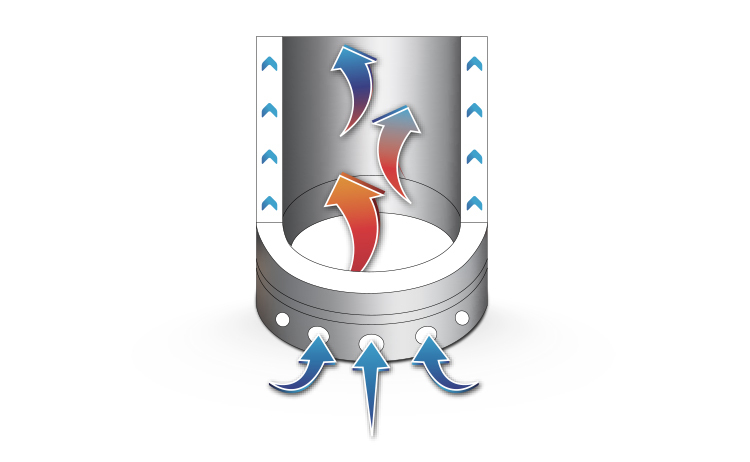 The air-cooled chimneys are used on most entry-level "builder box" fireplaces and are usually constructed of the cheapest materials UL Standards allow. Insulated chimneys, on the other hand, were designed for wood stoves. Stoves can produce high flue gas temperatures and large amounts of creosote which can cause chimney fires. 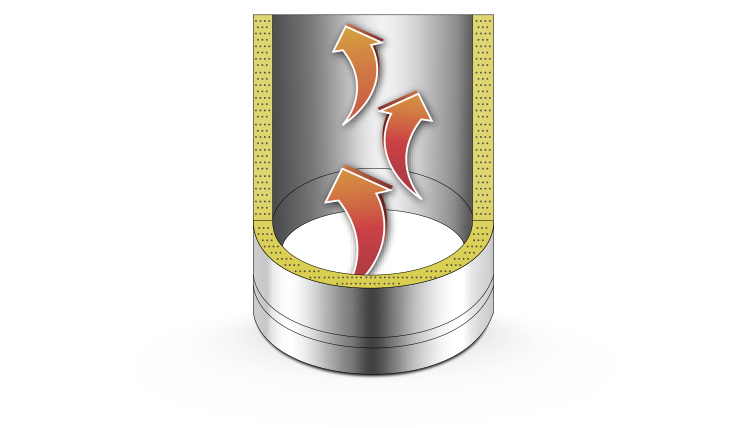 Stove chimneys are certified based on much tougher safety standards which require them to withstand repeated 2100° F chimney fires. They utilize high-temperature insulation and superior stainless steel making them much more expensive to build. They warm up quickly and are less likely to accumulate creosote. High-efficiency fireplaces are essentially wood stoves with cabinets around them, keeping the outside of the cabinet cool while circulating the stove’s heat into the room. When installed with an insulated chimney, they warm up faster, draw better, and form less creosote. Insulated chimneys are far superior in cold climates. Air-cooled chimneys circulate air through the flue continuously making it very cold in winter conditions which can cause condensation to form when the fireplace isn’t in use. This condensation can trickle down the system and gather on top of the fireplace and may even corrode the top of the fireplace. Air-cooled chimneys were simply never designed for extreme temperatures. RSF Fireplaces believes that superior products offer superior durability, performance, and most of all safety. Since our winters nearly always involve temperature under freezing, it only makes sense to equip a high-performance fireplace with a high-performance chimney system. When buying a high-efficiency fireplace, make sure it comes with an insulated chimney.